Papercrafts by Patti: Where's the Cake? Happy Birthday! Now Where's The Cake? I love this sentiment because it's how I think about birthdays! I love the colors on this card. I CASEd this card from Stamp It Up With Jamie. I think I used slightly different colors than she did: Sweet Sugarplum, Peekaboo Punch and Pool Party. I enjoy watercoloring with our ink pads onto our water color paper. It makes me feel like a real painter! Thank you for looking today! I hope you are inspired to make a card yourself! 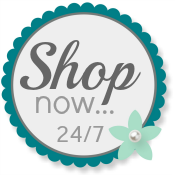 Please use my Online Store when you order your Stampin' Up! products.